In December 2018, we learned that Google is bringing a new dark mode to Chrome for macOS Mojave, and now it appears that the browser is getting the same treatment in Windows 10. 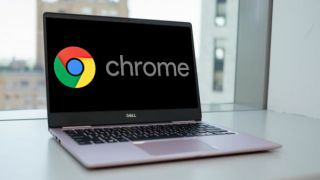 As TechDows reports, Chrome developer Peter Kasting pointed out the lack of a dark mode for Chrome as a problem in May 2018. "Windows 10 allows users to set their apps to 'light' or 'dark' mode. Chrome should respect this," he wrote in a bug report. Kasting has now confirmed on Reddit that a dark mode for Windows is in the works. He gave no indication of when the new feature might arrive (and suggested that fans of the darker look use a custom theme in the meantime), but it's possible that it could arrive at the same time as the Mojave update, which is expected early this year. According to another bug report, the main issue with implementing a dark mode for Chrome has been the fact that it renders the main browsing mode identical to Incognito mode. Once this problem is solved, there should be nothing holding Google back from releasing dark options for all platforms (though as Kasting notes in his Reddit post, mobile app development is handled by totally different teams).